Photoshop offers a collection of predefined color management settings designed to produce consistent color for a common publishing workflowthe process from taking your digital images downloading them onto a computer and color managing them through to printing and archiving them , such as preparation for Web or offset press output. In most cases, the predefined settings will provide sufficient color management for your needs. These settings can also serve as starting points for customizing your own workflow-specific settings. 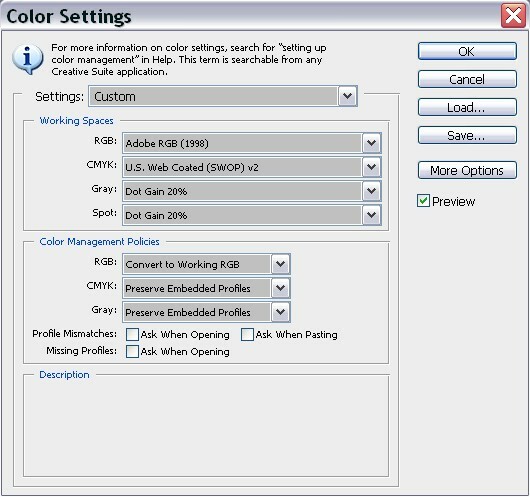 To choose a predefined color management setting, choose one of the following options from the Settings menu in the Edit Color Settings dialog box. I won’t bother with the full explanation but for consistent images make the following settings. Under color management policies, where it says RGBRed green and blue the three primary colors and color space used by film and monitors. , select ‘convert to working RGB’. This converts newly opened documents. Uncheck the tick boxes below that. 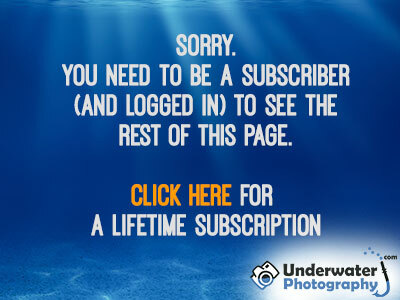 They just popup annoying dialogs prompting you to confirm conversions. Now say OK and you’re done! Your color settings are set up.